Bio: Stephen was born in Haverhill, Massachusetts. Attended UMass Lowell from 2011-2015 where he studied Chemical and Nuclear Engineering. At Lowell he conducted research under Dr. Zhiyong Gu working on developing a electrochemical sensor utilizing porous metal nanoparticles. 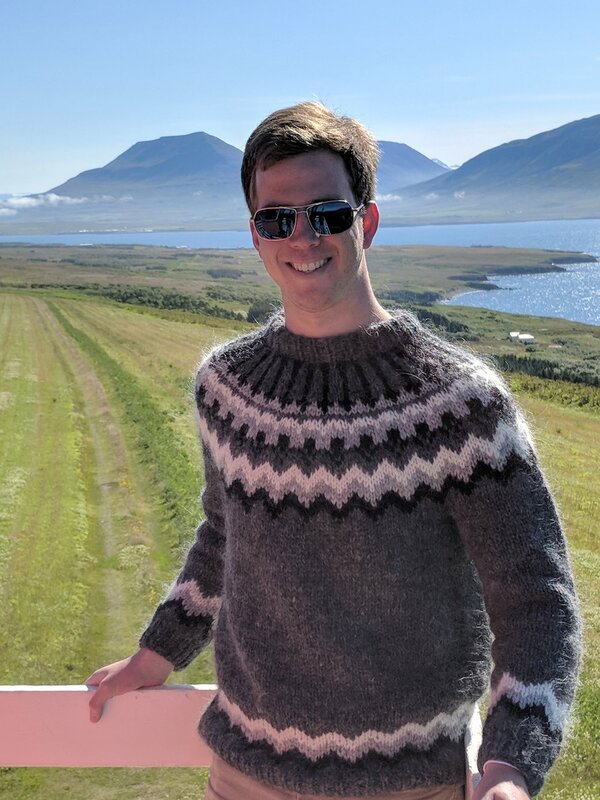 Stephen also spent summers working at Vanderbilt University on stretched membranes for PEM fuel cells and at Idaho National Lab developing and modelling hybrid energy systems. Stephen is also a huge New England sports fan and college hockey fan. Bio: Yao was born in a small coastal city named Qinhuangdao, China. She got her bachelor degree in Xiamen University in 2012. After that, she attended Zhejiang University from 2012 to 2015. During this time, Yao conducted research on synthesis and application of carbon supported ruthenium catalysts under Prof. Xi Li. She enjoys cooking, reading and playing badminton in her spare time. She joined Dr. Lively's group in Fall 2015. Bio: Fengyi was born in Qingdao, a lovely coastal city in east China. He spent 18 years there before attending Dalian University of Technology from 2011-2015. During his undergraduate studies, he conducted research about mixed-matrix membrane for CO2 capture under the instruction of Prof. Gaohong He. In his spare time, he enjoys listening music, singing and playing basketball. He joined Lively's group in 2015. Bio: Yadong was born in Taoyuan, Taiwan. After high school, he went to National Taiwan University and got his bachelor and master degrees in Chemical Engineering. His research focus was the synthesis of meso-/nano- porous materials as effective catalysts for biodiesel conversion from algae. He joined Georgia Tech and Lively’s group in 2015. Bio: Hye Youn was born in Ansan, South Korea. She got her bachelor degree and master degree at KAIST. At KAIST, she conducted research under the direction of Minkee Choi. After graduate, she worked at LG as a researcher for a year and half. She likes to cook and read book during her spare time. Bio: Ronita was born in Bahrain- a small island in the Middle East where she completed her secondary education. She then moved to the U.S. to complete her undergraduate degree in 2016. During her time at UK, she was involved with the synthesis and stabilization of coated iron oxide nanoparticle suspensions in Dr. J Zach Hilt's lab. She joined Lively's group in 2017. Bio: Conrad was born and raised in Richmond, VA, where he later attended Virginia Commonwealth University from 2013-2017. While at VCU he conducted research in pharmaceutical synthesis under Dr. Frank Gupton. Conrad loves to sail on the Chesapeake Bay, and cheering on both the VCU Rams and Georgia Tech Yellow Jackets. He joined Lively’s group in 2017. Bio: Chun-Yi was born in Kunming, the “Spring City” of China. She attended The Ohio State University for her undergraduate studies in Chemical Engineering. There, she researched hydrogen production from natural gas using an iron-based chemical looping technology with thermodynamic simulation under Dr. L.-S. Fan and Dr. Andrew Tong. She joined The Lively Lab in Fall, 2018. 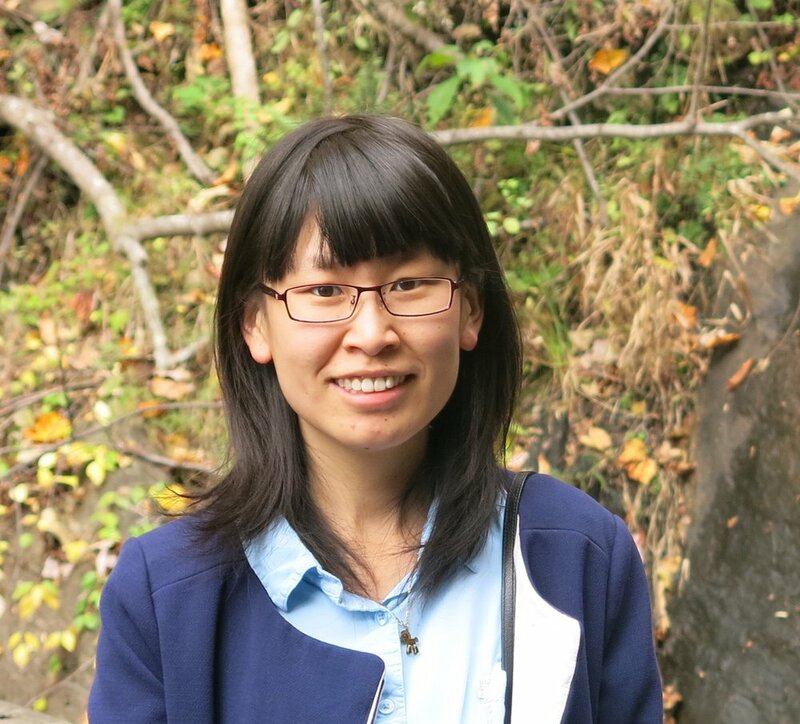 In her free time, Chun-Yi enjoys playing music, exploring the outdoors, and taking care of her two cats. Bio: Young Hee was born and raised in Seoul, South Korea. 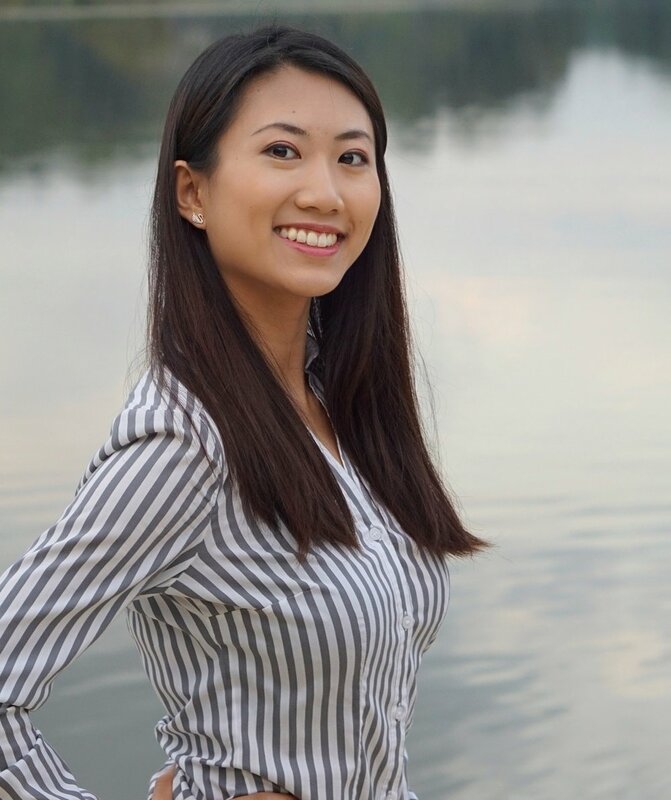 She completed her secondary education in Manila, Philippines then got her undergraduate degree at the University of Illinois at Urbana Champaign in 2017. While at UIUC, she was involved in flexible electronic device encapsulation research in Prof. John Rogers’ lab and in mechanochemistry of polymers research in Prof. Nancy Sottos’ lab. She joined Lively's group in 2018. 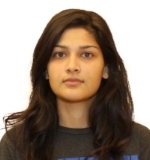 Bio: Pavithra was born and raised in Chennai, India. She obtained her bachelor’s degree in Chemical Engineering from SSN College of Engineering, Anna University, where she worked on Acrylate-based Polymers for marine Oil spill Clean-up and Recovery in collaboration with Laboratory for Hypersonic and Shock wave research, Indian Institute of Science. She also worked on Visible Light Photocatalytic Degradation of PAHs using N, S Co-doped Titania Nano catalyst. She enjoys listening to music and playing Badminton in her spare time. She joined Lively’s group in Fall 2018. Co-Advised by Prof. Christopher Jones. Bio: Isaiah was born and raised in Marietta, Georgia. He attended MIT where he studied chemical engineering and did undergraduate research with Professor William Green. Under his supervision he worked on developing kinetic models for upgrading heavy crude oil with supercritical water. He joined Lively's group in 2018. In his free time he loves to cook, read, and listen to music. Bio: Richelle was born in Jakarta, Indonesia in 1990. She has lived in New Zealand and Australia for over half of her life.She graduated with a PhD in Chemical Engineering from Monash University in 2015. Her research work on light responsive adsorbents for carbon capture was a collaboration between Monash University and CSIRO, under the direction of Assoc. Prof Bradley Ladewig andAssoc. Prof Matthew Hill. She joined the Lively Group in 2016. In her spare time, she likes to sightsee, design and sew clothes. Bio: Shaowei was born in Yingtan of Jiangxi Province, China. He Obtained bachelor's degree in Chemical Engineering from Tianjin University in 2010. After that, He started his PhD research in University of Cincinnati, where his research focus is zeolite membranes for small molecule gas separation. He joined Georgia Tech in Dec, 2015. In his leisure time, he enjoys hiking, fishing, and watching TV shows. He joined Lively group in summer 2016. Bio: Achintya Sujan was born in Mumbai, India. He earned a Ph.D. at Auburn University he conducted research under Prof. Bruce Tatarchuk and focused on the synthesis, characterization, and in-situ spectroscopic monitoring of promoted ZnO adsorbents for gas phase desulfurization of reformate streams. He joined the Lively lab in May 2017. Bio: Yun-Ho was born in Seoul, Republic of Korea. He obtained his B.S., M.S., and Ph.D. from the Korea Advanced Institute of Science and Technology under the direction of Prof. Huen Lee. After that he worked as a post-doc in Prof. Jae W. Lee's group for a year. He focused on storing small guest molecules in clathrate hydrates and designing a clathrate nanoreactor. He joined the Lively group in April 2018. Bio: Dan was born in Limerick Ireland and obtained his B.Sc. and Ph. D. from the University of Limerick. His doctoral research under Prof. Michael Zaworotko focused on the crystal engineering of coordination networks, specifically the design of interpenetrated Hybrid Ultramicroporous Materials (HUMs) in the context of gas separations and water vapor sorption. 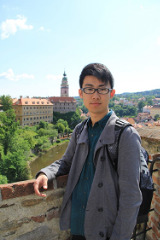 He joined Prof. Lively’s group in 2018.